Can Summit Basecamp put personalized learning over the top? Tipping point: Can Summit put personalized learning over the top? FRAMINGHAM, Mass. 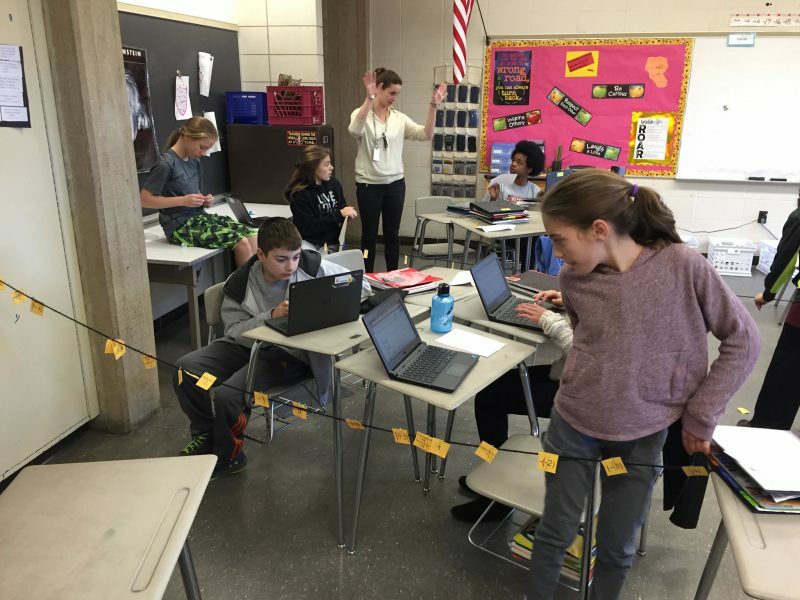 — Using small yellow and orange squares of paper and lengths of yarn stretched between tables and chairs, sixth-grade math students made number lines — including everything from fractions to negative decimals — in a classroom at Walsh Middle School. Working in teams, they paper-clipped the squares along the yarn like little pieces of mathematical laundry. Their teacher, Michele O’Connor, had assigned the number lines in previous years, but this year was different. Shepersonally, hadn’t spent much time leading students through practice problems or introducing the basic math concepts they would use in the project. That had largely been relegated to online math lessons, part of separate periods of personalized-learning time when students are free to work through computer-based lessons in any subject they chose, at their own pace. The change is part of a nationwide pilot program Walsh joined this year, one that could indicate just how deeply and how quickly the personalized-learning trend will penetrate the average classroom. Indeed, despite the buzz around personalized learning, there’s no simple recipe for success, and the common ingredients — such as adaptive-learning technology and student control over learning — can backfire if poorly implemented. A looming question is whether personalized learning that works in, say, a tight-knit, mission-driven charter school can be reliably translated into traditional district schools with many more students, less flexible schedules, keener standardized-test worries and cultures steeped in established ways of teaching and learning. Some passionately believe that it can and must, while skeptics fear that personalized-learning hype has outpaced research into if and, importantly, how it helps students. The pilot Walsh joined could be a big part of the answer. 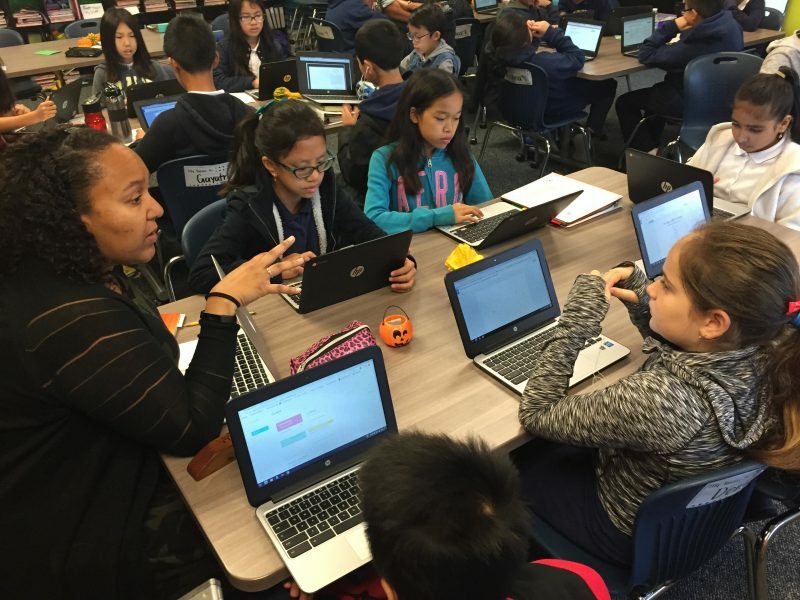 The effort is led by one of the most celebrated leaders of the blended- and personalized-learning movement, California-based charter network Summit Public Schools. For the last two years, Summit has set out to replicate its success, not by opening more Summit schools, but by offering other schools free tools, training and support to transform themselves. The centerpiece of Summit’s franchising effort, called Basecamp, is its Personalized Learning Platform, or PLP, a free, open-sourced learning management system that boasts a full curriculum for grades 6 through 12, including projects, online learning resources and tests. Teachers and administrators from interested schools can apply to join Summit Basecamp, which includes an intensive week-long summer training session on Summit’s technology and approach. Basecamp schools then receive mentoring from and troubleshooting by Summit staff, as well as PLP access throughout the academic year. Summit’s Basecamp is far from the only personalized-learning effort out there, but it’s among the most ambitious. Nineteen pilot schools participated in 2015; this year, the number skyrocketed, with 113 more joining the Basecamp ranks. More than two-thirds of them are district-run schools. Bits of student performance data are only just starting to trickle out of the pilot schools, so it’s too early to assess most of them quantitatively. Qualitatively, however, some broad themes emerged in visits and conversations with teachers, administrators, students and parents at several Basecamp schools. For most schools, the jump into personalized learning was really hard. Tales abound of frustrated teachers, crying students and flummoxed parents. Still, the Basecamp participants said they overcame the rocky starts and that any school can follow their lead if its teachers and students are willing to shed old assumptions, comfortable routines and a few tears along the way. One early November afternoon in Sunnyvale, about an hour’s drive south of San Francisco, a class of ninth-graders at Summit Denali sat at computers for a 45-minute session of personalized-learning time (some days, there are two sessions). Many watched instructional videos or worked with adaptive-learning software that adjusted lessons based on each student’s proficiency. Other than a few murmured conversations and the clicking of keyboards, the only sound was mellow acoustic guitar music played on their teacher’s laptop. The school director, Kevin Bock, stood by the door. “We put the music on because it used to get too quiet in here, and it weirded people out,” Bock whispered. Among people new to the Summit program, such scenes of silent, computer-based work can arouse worries that personalized learning means parking kids in front of screens. So it was with parents at one of the first Basecamp schools, Marshall Pomeroy Elementary in Milpitas, a small city off the southern tip of San Francisco Bay. Related: Must a classroom be high-tech to make personalized learning work? 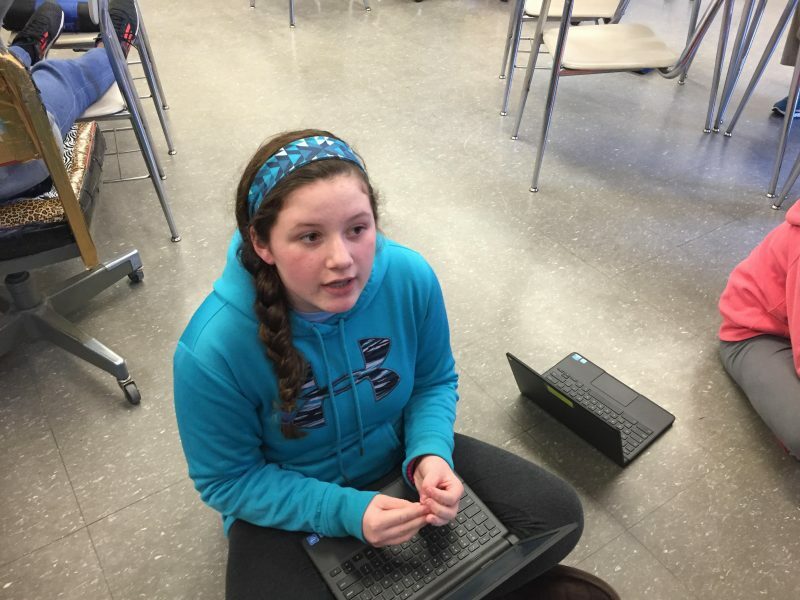 “Our days aren’t as long as Summit’s days, and so we have to send some of the [personalized-learning time] home as homework,” said Sheila Murphy-Brewer, principal of Marshall Pomeroy. As a result, she said, during the school’s first Basecamp year in 2015, “many parents were thinking, ‘oh, this is just about kids being on the computer.’ ” The school has since done more parent outreach to combat that misperception. Those connections start with one-on-one mentoring, in which teachers meet with students weekly to discuss short-term goals, such as completing a certain number of units in a history course, and long-term goals that stretch into college and career. Mentor time is also meant to reinforce “habits of success,” such as time management and persistence. 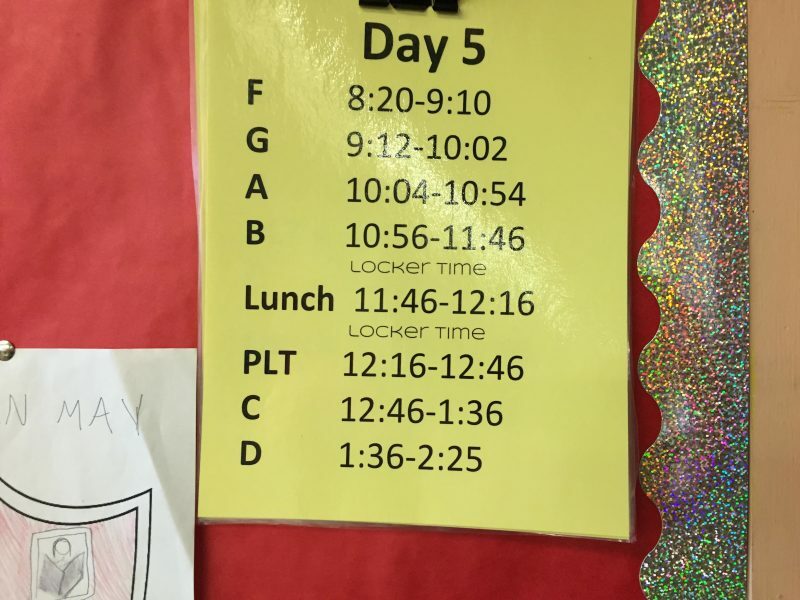 The daily schedule for sixth graders at Walsh Middle School in Framingham, Massachusetts. PLT stands for personalized-learning time, during which students work their way through self-paced online lessons in any subject they choose. “My long-term goal is to go to Stanford and major in aerospace engineering,” said Christina Nguyen, a ninth-grader at Summit Denali. Nguyen was working on quadratic equations with her friend, Chloe Starbird, who had recently discussed summer internship options with her mentor in pursuit of a career in medicine or biogenetics. While her students worked, O’Connor circulated among them, asking questions and steering chatter back to math. The students typed explanations for the placement and spacing of each number into a page on PLP, and would later present those explanations to the class. O’Connor would not grade the number lines themselves, but the explanations. Summit requires Basecamp schools to follow its practice of basing 30 percent of grades on mastery of content and 70 percent on students’ use of various cognitive skills, such as making inferences and clearly communicating their ideas. 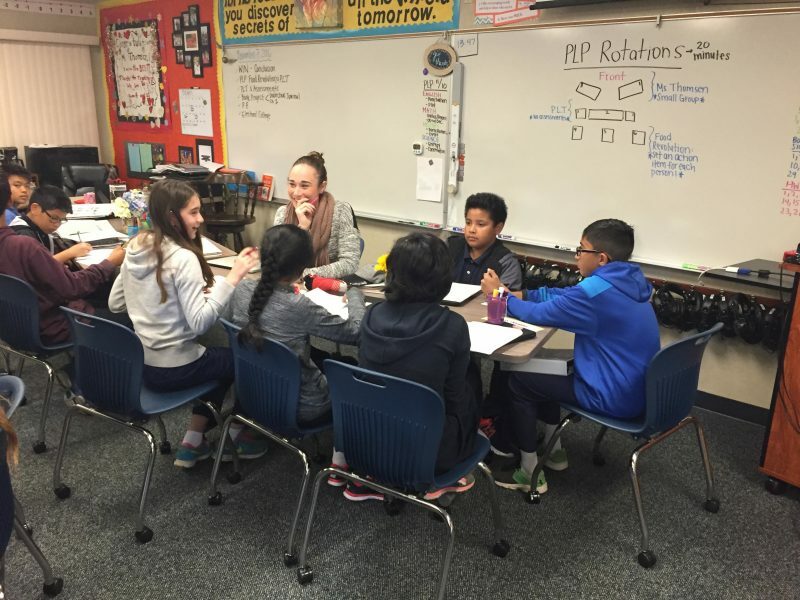 Summit partnered with Stanford’s Center for Assessment, Learning, and Equity to develop the rubric for evaluating the cognitive skills in each grade. While Summit’s PLP does include tests of content knowledge for each subject, students take them only when they feel ready and, if they fail, can re-take them until they pass. Some Walsh parents, such as Paula Swift, whose sixth-grade son, Trevor, is in the Summit program, are fully supportive of this “mastery-based” grading. Riley, who now leads Deans for Impact, a nonprofit he founded to improve teacher training, argued that putting students in charge of their learning defies research on how we learn best. According to Riley, the personalized-learning advocates wrongly assume that all students are able to effectively guide their own learning. “Knowledge is cumulative,” he wrote, meaning that our ability to learn is changed by what we already know. Teachers guide students through the foundational knowledge they need to think critically about a topic, to structure their inquiries for learning more and to understand new information when they encounter it. Logically, this concern about the need for guidance grows when the students involved are novice learners. The Summit program was designed for high school students and expanded to middle schools. While some Basecamp educators think Summit’s model could work at every grade, others are more cautious. 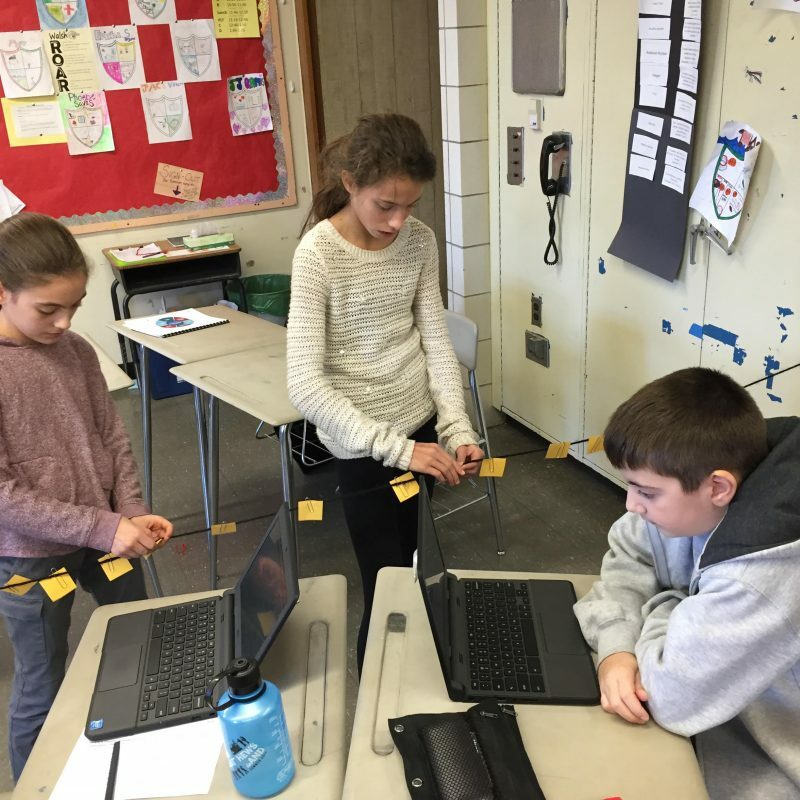 Pleasant View Elementary in Providence, Rhode Island, for instance, started Summit with fifth-graders in 2015, and this year introduced a few aspects of the approach to fourth-graders. Pleasant View’s principal, Colleen Loughlin, said she has no plans to expand Summit to the whole school. Last year, according to Summit administrators, 74 percent of Summit students met or exceeded Common Core standards for English Language Arts on California’s state tests, compared to 49 percent of students statewide, and 51 percent of Summit students met or exceeded the standards for math, compared to 37 percent statewide. The college acceptance rate for Summit graduates perennially pushes close to 100 percent. Nevertheless, in a phone interview, Riley pointed out that there isn’t much rigorous research showing which aspects of successful personalized-learning programs have led to student success. Is it more about the personalized-learning time, for instance, or the super-committed and highly skilled teachers in a particular program? Even some of personalized learning’s biggest backers admit that it’s easy to get it wrong. Last August, for instance, the Center on Reinventing Public Education published a brief field report from their ongoing study of personalized-learning initiatives warning that some schools focus on the “iconography” of personalization — the technology or the project-based learning — but sacrifice rigor. In fact, some experts would argue that if the transition to personalization is easy, then you’re probably doing it wrong. 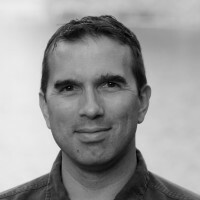 “When I walk into a classroom and see all the kids on a computer, mostly on the same screen, and the teacher is moving around the room like a test proctor, that is where we’ve gone way wrong and need to right the ship,” said Shawn Rubin, chief education officer for the Highlander Institute, a Rhode Island nonprofit that promotes education innovation. About 10 percent of Basecamp schools are in Rhode Island, a concentration that trails only California, Texas and Illinois, thanks partly to the efforts of the Highlander Institute, which steers schools interested in personalized learning to one of three technology platforms — PLP by Summit, Cortex by the Brooklyn Lab School or Buzz by the education technology company Agilix. But, before Highlander recommends any technology, the nonprofit works extensively with the schools to get them ready. It’s a one- to three-year process that includes recruiting principals and teachers to be early adopters for their schools and touring schools that have made the transition to successful personalized learning. According to Lizzie Choi, the chief program officer for Summit who leads Basecamp, that kind of groundwork is helpful, but not required. The only prerequisites for would-be Basecamp schools are a commitment to Summit’s grading policy, a one-to-one ratio of computers to students and a team of at least four teachers covering the core academic subjects for about 100 students. Beyond that, Choi said Summit welcomes any school willing to take on the program’s rigorous application, which requires vision statements, teacher videos and strategy papers on everything from parent engagement to mentoring and project-based learning. It takes months to complete and is meant to introduce schools to the rigors of a transition to Summit’s model — and to weed out those who aren’t ready. About half the schools that started Basecamp applications last year didn’t finish. Basecamp is not a school cloning operation. Summit encourages pilot schools to adapt its model to fit local needs. For instance, Basecamp schools are creative with scheduling, finding myriad ways to fit in personalized-learning time, mentoring and projects while carving out extra time for teachers to plan lessons jointly and confer about students. Most Basecamp schools make a lot of changes to the platform’s lesson plans, projects and assessments. For instance, the platform had no fifth-grade curriculum when Pleasant View Elementary became a Basecamp pilot in 2015, so the teachers spent all summer crafting one. At Marshall Pomeroy, teachers added a bunch of extra supports and scaffolds for students with learning disabilities. The Basecamp schools in Pasadena, Texas, outside Houston, added materials for Spanish-speaking English language learners as well as a required Texas history course. Eventually, Summit hopes to include these additions as options for every user of its PLP. “Our vision is an entire community of educators across all contexts who are building on each other’s work,” said Choi. In Summit’s first year of Basecamp, for instance, mentors from Summit staff made regular visits to every pilot school to help coach teachers and troubleshoot. “We realized that we were having so many of the same coaching sessions and conversations over and over,” said Choi. So this year, Summit’s mentors have been keeping in touch with Basecamp schools by phone and holding periodic regional meetings for collaborative problem solving. Choi wouldn’t put a target on further expansion. She said that Basecamp was “intentionally designed to start small,” noting, for instance, that Summit trains just four or five teachers (one grade) from each school. At the same time, she added, “there is some incredible amount of excitement in the country around changing the way we teach and learn. And we want to capitalize on that. OPINION: How do teachers know if they are getting personalized learning right? Pump up the volume! More talking in class, please!